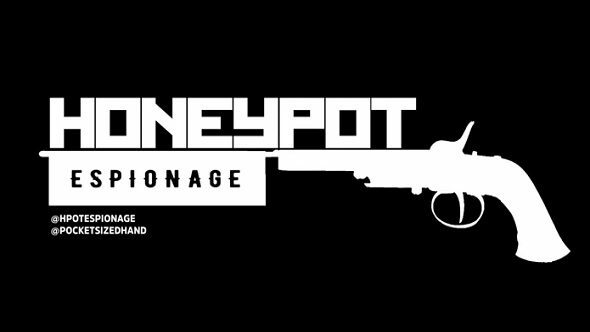 Dundee based studio Pocket Sized Hands have just released the first pre-alpha trailer for their multiplayer VR stealth game, titled Honeypot Espionage. They describe it as Predator meets Superhot, so you should be very interested already. Stop! Don’t move! There are some PC stealth games creeping up behind you. With a similarly stark aesthetic to Superhot, Honeypot Espionage has spy fighting against spy until one operative is left standing. The main gimmick for Honeypot Espionage is that rather than the bullets only moving when you do, your character remains completely invisible while you hold still. That’s where the Predator comparison comes in, with spies decloaking like the movie monster whenever they move a muscle. With one gun to shoot and the other to set traps, it’s up to clever spies to outwit their opponent as they skulk around the arena until one is named the victor. As you are in VR, you can lean round walls, duck behind cover and even potentially lie down on the floor to avoid detection. If you don’t fire off your gun or move, you should remain invisible but beware of any slight twitches as your enemy walks past. Honeypot Espionage will probably double as a great horror/comedy game, with players having to hold their breath/not burst out laughing as their spectral enemy stands right in front of them. This will turn out to be a game that’s ripe for YouTube and Twitch, especially when put in the hands of excitable or tipsy players. The game is still very much in the pre-alpha stage but keep a watchful eye on the Honeypot Espionage and Pocket Sized Hands’ Twitter feed for any signs of movement during 2017.